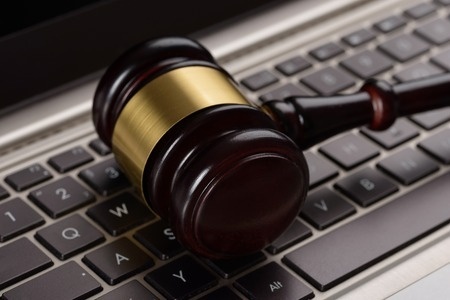 Expand Your Auction's Reach with Online Options | Wilson Auction & Realty Co, Ltd.
Online auctions are an increasingly popular way to help expand auction reach for a wide range of different types of sales. Whether you’re liquidating excess inventory, selling off farm equipment and machinery or auctioning off property, using online auction options can help to move your items or land quickly and for even more money. There are two methods to incorporate online service to your auction: simultaneous auctions or online exclusives. With online only auctions, you can minimize the need to hold an on-site event, meaning less worry about setting up for an auction at your location in Ohio, Michigan or Indiana. This also means that you can attract buyers from around the nation – and even internationally – without requiring prospective bidders attend your event on site. This can also be a good way to move items that are highly mobile or market products to international buyers easily. An especially good option for those auctioning off highly sought-after goods, holding your auction on-site with a simultaneous online bidding option allows you to expand your reach. Local bidders can attend, view items in person and place their bids while competing in real-time with online bidders interested in the same items. It’s a great way to increase interest and open your auction to more than just a local or regional crowd. Wilson Auction & Realty has worked with a wide variety of different clients throughout Ohio, Michigan and Indiana to help them plan an auction to sell their property or items. With more than 100 years of combined experience, our team has the knowledge and expertise to help you with setting up and managing your auction from start to finish. To learn more about online auction services or any other kind of property or inventory sale, contact us today by calling 419-636-5500.